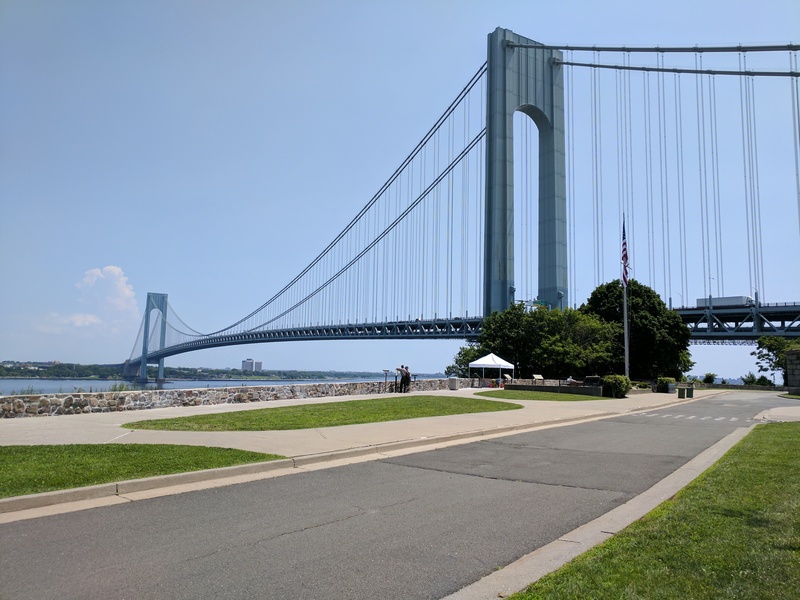 Fort Wadsworth, located at the Staten Island foot of the Verrazano Bridge in New York, is a part of the National Park Service’s (NPS) Gateway National Recreation Area, a site composed of several fortification units. Running north and south between Fort Tompkins and Battery Weed is a 2,012-foot-long stone retaining wall approximately three feet high. Near the center of the wall, an overlook offers a wide view of the narrows of New York Bay toward Brooklyn and lower Manhattan. The wall, a random ashlar that is more than 76 years old, had deteriorated, particularly in areas of salt run-off from the bridge above, the openings of mortar joints in the vertical faces, and the cracks in the flat mortar cap. The primary objective of the Fort Wadsworth project was to repoint the open joints in the vertical surfaces and the mortar cap of the wall. 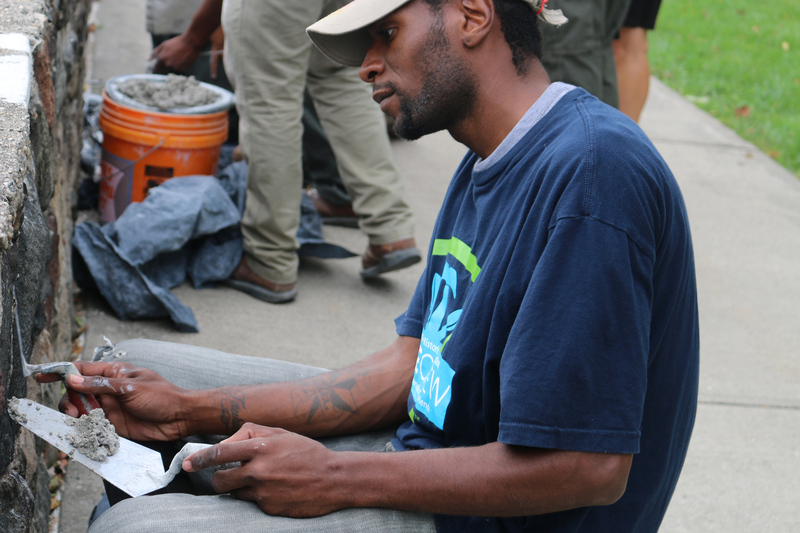 The National Trust for Historic Preservation’s Hands-On Preservation Experience (HOPE) Crew, recruited by the Citizens Conservation Corps (CCC), began with seven individuals whose prior experience in masonry was minimal. Mortar may seem, to the uninitiated, like a simple thing to play with, but once you start to work with it daily, you become attuned to its subtle nuances. At the behest of the HOPE Crew, my business partner, David Follett, and I—both experienced in repointing random ashlar—were brought on to work with the CCC and in coordination with the site’s NPS staff. Given the fact that my experience in historic preservation work spans more than 40 years and includes hands-on stonemasonry, time as a partner in a small restoration company, and my role as a founding member of the Preservation Trades Network, I not only brought hands-on experience to the project but was also able to convey information about preservation philosophy, building technology, stonemasonry, and project management to the team of young participants. Our intent, as the educators, was to spend one entire week teaching the crew how to repoint the wall. We then planned to follow up and work with the crew during regular visits. 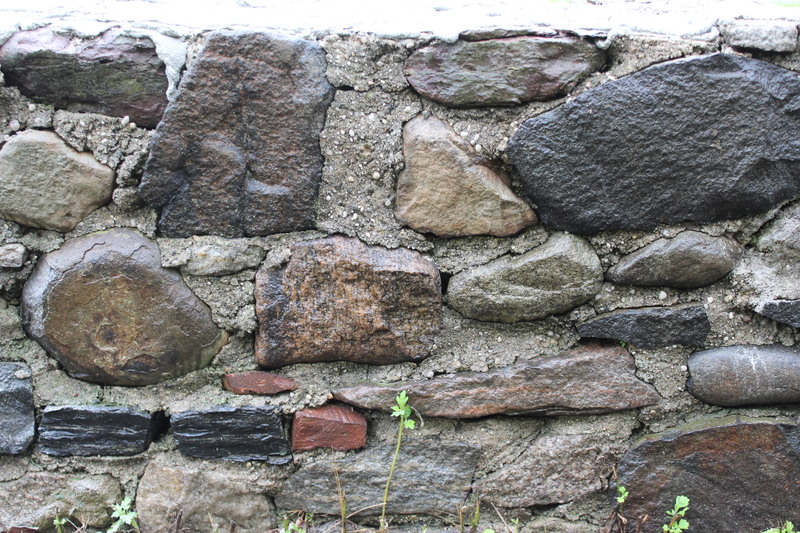 Repointing a stone wall is not a particularly difficult task, and the necessary skills can be picked up quickly. A typical day consisted of cutting out mortar joints, moving around materials, mixing mortar and placing it in the wall, and then protecting the mortar while it set. The work is highly repetitive and can therefore become routine and monotonous, so endurance and sustaining crew morale over months of work is one of our challenges. In the end four crew members—Vince Campbell, Matthew Adams, Ethan DeSantos, and Adam Maldonado—saw the project through from May to November 2017. Materials for the repointing were supplied by a mason contractor who had been engaged independently by the NPS to rebuild portions of the wall. The contractor was meant to have done mortar analysis to match the new mortar materials with the existing historic fabric. Unfortunately, they instead supplied a sand and mortar mix that had no resemblance to anything existing. 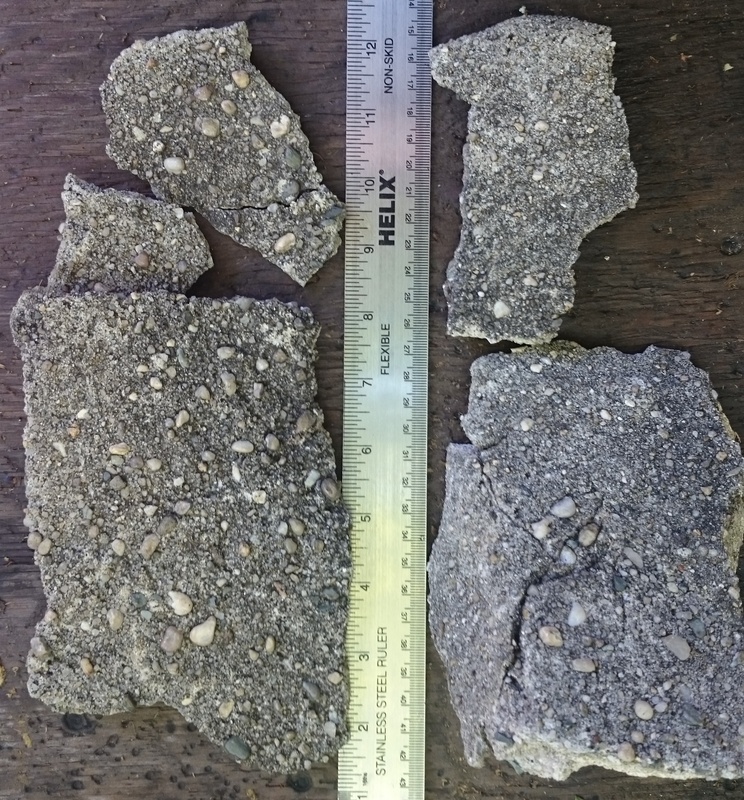 A mortar analysis done by Jablonski Building Conservation in 2016 had identified local sources for matching sands, so the project team was able to strike a compromise by taking the sand listed in the existing analysis and blending it 50-50 with the sand that had been previously provided by the contractor. As a result, this project would not closely match the historic fabric but rather represent an eighth repointing campaign easily identifiable within the wall. It is important to note, though, that the mortar remains reversible, and that any repointing extends the durability of the wall. The HOPE Crew was engaged onsite for several weeks before a suitable mix was figured out and the sand, cement, and lime provided to the site. In the time that it took to work out the mortar issues, the crew conducted a survey of the entire length of the wall to become familiar with its structure and with the tangible project goals. They divided the wall into 10-foot segments and recorded the mortar joints that needed work. The results made it easier to divide the wall into sections with discrete work goals and made the crew more adept at quick decision-making during the work. Initially, tools were stored in a container some distance away from the wall, and the crew relied on park personnel to deliver tools in the morning and remove them at the end of the day. To simplify the situation, the NPS placed a storage trailer closer to the work site. However, another problem with working in such a large area that is open to the public is that visitors tended to step on the wall or disturb the fresh work when the crew wasn’t onsite. Finally, the removal of the mortar cap was originally considered as part of the project due to variations in its appearance and hairline cracking. However, this was an improper way to deal with the masonry condition and would have put the scope of work beyond both the time allotted and the skill set of the crew—not to mention the fact that removal also tended to cause the wall to fall apart. It made no practical sense to remove material that was adamantly fixed in place. The first day it rained and as we did not have a canopy, all of us became soaked through. It occurred to me then that if crew members showed up for work the next day that we had something worthwhile going on. The crew in the 2017 session managed to repoint the half of the wall from the observation deck to the north end, as well as to repair areas that had been inadvertently damaged by others. In 2018, with funding and support from various key partners, we hope that the project will be able to continue and to address the needs of the other half of the wall. Ken Follett, the president of PreCon LogStrat, LLC, has also worked in various capacities on two other HOPE Crew projects: Chalmette National Cemetery in Louisiana and Historic Fort Wayne in Detroit.